I am a sucker for living history museums. It’s one thing to walk into a brand new building and see pictures of the “old days” and peer into glass cases filed with old tools and such. But to see the things in a action, in a realistic setting? Now THAT is something else entirely. We found out about Pioneer Farms because of a Living Social offer, and decided to check it out. When we pulled in the parking lot, we were initially disappointed…it looked tiny, and except for a couple of other cars in the lot, deserted. But we headed for the general store/ticket counter and showed our passes. The helpful volunteer showed us a map that immediately changed our thoughts about the place…instead of just the handful of building we could see, there were acres and acres of historical buildings, including three early Texas homesteads…one typical of homesteaders waiting for their claim, one typical of a working German farm, and one from a wealthier landowner. There were also blacksmithing demos (and classes! 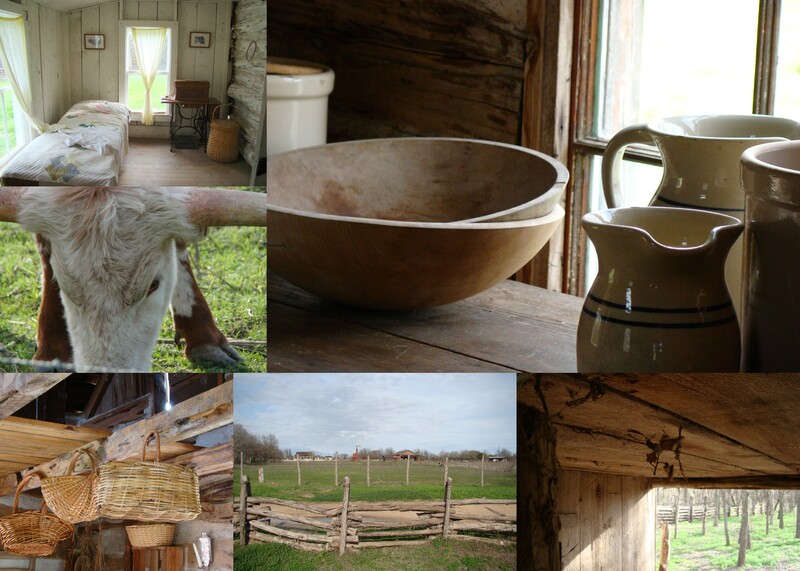 ), period crafts, farm animals, and costumed docent to explain the buildings, artifacts and lifestyle. In the end, what seemed like a 10 or 15 minute walk around a few buildings turned into a wonderful half day learning about Texas history and settlers. This is a great place to take kids or out-of-town visitors. Take your time wandering and absorbing the quiet of an earlier time when the ring of cell phones or the drone of the TV was mercifully unheard of. Picnics are allowed, but pets are not. Check their website for special events, craft demos and classes. This entry was posted in M is for Museums, O is for Outdoors, Q is for Quiet and tagged history, museums, picnics. Bookmark the permalink.